I have a new book out! 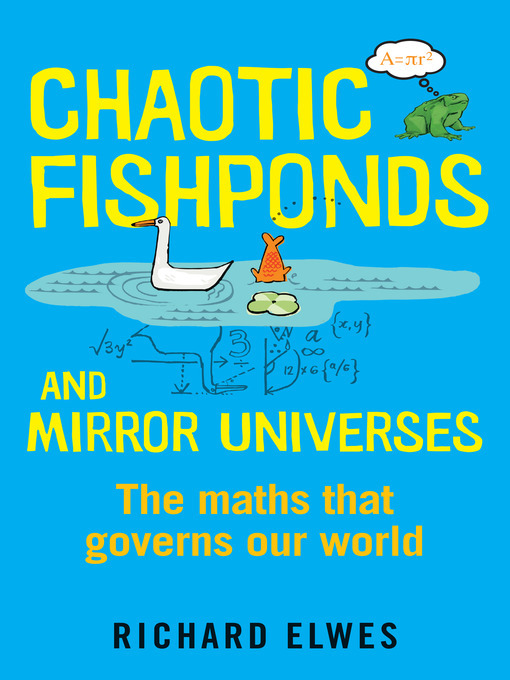 Chaotic Fishponds and Mirror Universes is published by Quercus and is available now as a paperback or e-book. My intention is to show how mathematics is essential to many aspects of today’s world. So each of its 35 chapters discusses a genuine application of maths to some other part of life. The title comes from the sections on symmetry in physics and chaos in population biology. There are other chapters focusing on traditional sciences, including chemistry, astronomy, and optics. However, much of the book is concerned with modern technology. Just about everyone knows, at some level, that maths plays a central role in our interconnected, computerized, hi-tech world. But far fewer people have a good sense for what that role actually is. So I have included chapters discussing how maths enables the rendering of CGI graphics, allows us to search the internet quickly and email our friends securely, how it guides the limbs of robots, and the trajectories of spacecraft, and much else besides. Also covered are various overlooked techniques which nevertheless contribute enormously to the smooth running of modern civilization, including industrial optimization, weather forecasting, queuing theory, and the mathematical modelling of disease epidemics. What else? Add a dash of economics, a sprinkling of psychology, a spoonful of game theory, a little something on the theory of elections, the sociology of Facebook, the relationship between computer programming and logical paradox, and garnish with handful of statistical illusions. I hope that the reader will come away not only convinced of the fact that maths is indeed essential to the modern world, but will also have a better insight into how. How does your new book compare to Ian Stewart’s recent book “In Pursuit of the Unknown” which also chronicles how Maths is used in the real world? Perhaps someone neutral who has read both books is better placed to answer that question… I have read and enjoyed several of Ian’s books, but not yet that one. Congratulations on your new book. It appeared this week in Buenos Aires (Argentina) and I bought it yesterday. I always thought that the quotation “A mathematician is a device for turning coffee into theorems” belonged to Paul Erdos, but in “Chaotic…” it is attributed to the great Alfred Renyi. So I checked it in the web and apparently it is not clear who was the author. That’s great – many thanks. The two men were close friends, so it is very likely that Erdös also said it – no doubt quoted his collaborator approvingly.